School is almost out, and teenagers are eager to enjoy more freedom and have fun with their friends. Plans are being made for road trips, drives to the beach or the lake, camping trips, music festivals, and other adventures. Some teenagers eager to claim independence are planning to drive back and forth among friends and family, and they may choose to drive for work as a delivery driver. Unfortunately, in the midst of all of this excitement there is also great potential for serious traffic accidents, so much so that this time has earned the title “100 Deadliest Days of Summer”. The 100 Deadliest Days, a time that starts on Memorial Day and ends on Labor Day, is a term that emerged from statistics that continue to reveal a high death toll pattern regarding teenagers killed in car accidents. So be mindful about equipping your child with a solid understanding about important safety measures, especially as they grow into becoming experienced drivers. Teenagers must realize the dangers that come with texting, packing a car with too many people, speeding, reckless driving, and other compromising situations. They don’t only put themselves in harm’s way, but also other people. AAA mentioned in a recent press release that “More than 1,050 people were killed in crashes involving a teen driver in 2016 during the 100 Deadliest Days.” The amount of deaths during this time jumped 14 percent. It is important to take time to talk with your child so that they don’t underestimate the very real dangers associated with driving. Fatal crashes for boys is twice as dangerous as it is for girls. The Insurance Institute for Highway Safety 2016 reports states that out of every 3 teenagers that die in car accidents, 2 are males. On top of teaching your kids about safety, make sure that you aren’t just talking the talk, but also walking the walk (or perhaps we should say, driving the vehicle). Unfortunately, fatal accidents occur every day, and there is a high possibility that the wreck involved a teen. If your teenage child was in a fatal crash, it may be possible to prove who was truly at fault in a wrongful death lawsuit. In these very difficult times, types of lawsuits can at least provide financial relief for medical and funeral expenses as well as pain and suffering. If the teenager is to blame, understand that some states will hold parents liable for their teen drivers. Also, bear in mind that sometimes things can become difficult when insurance companies insist on denying legitimate claims. 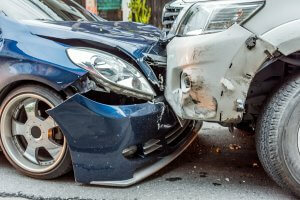 When this happens, it is worthwhile to seek expert guidance from a personal injury lawyer.